In comparing what Jesus said to his Jewish contemporaries, much of what he taught was in line with what others taught, often expanding on their words. But one teaching of his was utterly beyond anything that anyone had ever said, and has no parallel. What was it? “Love your enemy.” It’s beyond me, that’s for sure. What does it look like when it’s radically lived out? There is a small ministry in Jerusalem that does this very thing. Years ago, an American man, Jonathan Miles, discovered that a great many infants in Gaza had heart defects that would certainly lead to death, but had no hope of medical help where they lived. Only a few miles away were state-of-the-art hospitals in Israel, but because of the conflict between Jews and Palestinians, no way for the Jewish doctors to reach out to the Palestinians. So he and a few other Christians decided to regularly cross over into Gaza and bring children for heart surgeries, donated at cost by the Israeli hospitals. Since the fall of Saddam Hussein, they’ve also been helping children in Iraq, another long-time enemy of Israel. You can’t imagine the profound impact this has on the people involved. Families are sometimes fearful of going to Israel, having heard all sorts of lies about the evil Jews who live there. Sometimes they face accusations of their neighbors that they are collaborating with the enemy. But when they meet compassionate doctors and loving nurses, it completely changes their world. When they go home and tell their families their stories, it makes an enormous impression on them, challenging their ancient hatreds. The changes that come over the children are remarkable too – many of them have distinctly blue skin from lack of oxygen and are too weak to walk. Right after the surgery they turn a warm, healthy pink, with a healthy life ahead. Just a couple days ago they screened another large group of children from Iraq and will be bringing twelve of them to Israel, even though they don’t yet have donations to support them. The hospital needs $5000 to cover its costs, a tiny fraction of what such a surgery would cost in an American hospital. If you can’t guess, I’m a big fan and supporter of this small but wonderful ministry, and heartily encourage you to learn more. Their website is here. And here’s a link to a video from one of their last trips to Iraq. Their first baby from Iraq made international headlines – you can see the NBC story here. Be sure to sign up for their emails. Here’s a little experiment. Close one eye and look around at your hands on the keyboard in front of you. Notice the details of where your fingers are relative to the keys. Then, close that eye and look at the relative position of the keys with the other eye. The two pictures you have are similar but yet different. From one eye it might look like your left ring finger is directly in front of the 2 key, and the other eye its in front of the 1 key. Which is it? Now open both eyes and look at the scene. Your brain has two sets of data coming from the left and right eye that actually disagree. From one eye things are hidden, but the other sees them. Edges of objects recede at one angle in one eye, and through the other eye, they’re at another angle. Somehow, your brain takes these two conflicting pictures and merges them and gives you new data about depth that neither eye could see on its own. Very cool, I think. Now, consider Proverbs 27:6. In the New International Version, it reads, “Wounds from a friend can be trusted, but an enemy multiplies kisses.” But in the Jewish Tanakh, it reads, “Wounds by a loved one are long lasting; The kisses of an enemy are profuse.” The two versions don’t agree! One says that friendly wounds are good, and the other says they are bad. How could they be so different in how they translate the verse? The key is the word that is translated “trust” or “long lasting.” The Hebrew word is ne’emanim (neh-eh-mah-NEEM), which is related to the word emunah, which means “faithful” or “reliable.” It is also related to the verb aman, meaning to believe or trust. But the same word can also mean “steadfast, long-lasting, enduring.” So the wounds of a friend can be trustworthy and reliable, or they can be long-lasting, in the sense of never going away. Which is the correct translation? Ironically, I think it is both. When our loved ones tell us their greivances, often they are something we should seriously consider changing, because they know that telling us will hurt us. But on the other hand, the speaker should realize that no matter how carefully said, his or her words will tend to stay with the hearer forever, often causing a wound that will take a long time to heal. This habit of reconciling two points of conflicting data is a typically Jewish way of thinking about reality. Think of Tevya in Fiddler on the Roof, who goes back and forth with “on the one hand” and “on the other hand.” At first with my Western sense of linear logic and background in the sciences, I found this really quite irritating. It felt like confusing rhetoric – one way must be right, the other is just plain wrong! Otherwise, you are headed straight into relativism, where all things are true – I just believe my thing, and you believe your thing. There is no truth anywhere. And yet, my two eyes work with two sets of conflicting data and somehow tell my brain about three-dimensionality, something that neither eye can tell me anything about at all. You could almost say that three dimensions are an illusion of your mind. That’s why stereoscopes and ViewMasters and MagicEye puzzles can make us think we see dimensions that aren’t really there. (For instance, check out this video.) But our life experience is that this mental construction is actually the truth – when we walk toward something that our eyes say is farther away, we come up to meet it. Our brains deal with conflict and look past it to a further, hidden reality. Actually, our ears do a very similar thing too, and that’s why we like stereo sound much better than mono – it sounds so much more real. There is one more thing going on that is important to note, and that one eye is dominant – it sets the perspective that your brain ultimately considers “authoritative.” With both eyes open, point your index finger at something across the room. Now close one eye, and then close the other. From your dominant eye’s perspective, your finger stays in the same place. From the other eye’s perspective, it “jumps.” If neither eye was dominant, your brain would just have a hopeless jumble of conflicting information. One eye is the final authority, but the other eye provides perspective that it doesn’t have by itself. I find this important to remember as I have been learning to use this “on the one hand, on the other hand…” method for reasoning, in particular, when I consider the Jewishness of my Christian faith. Most people reading this blog have discovered the power of knowing more, as Christians, about what Jews believe about different things. Sometimes we see things very similarly, other times we see things very differently. At first it might be disconcerting, but if you have a solid sense of your own faith, the conflicting data can often give all sorts of three-dimensionality to what we already believe – it gives perspective. For other people, however, I honestly don’t recommend this kind of study, if they have a shaky faith and some wounds from abuses or errors in their church past. Or if they actually believe that all truth is relative, which makes no sense at all. What will happen is that the two conflicting portrayals of reality will simply cause confusion. You need to have a dominant eye, that gives you the final say. Sometimes you might modify what you think, but sometimes its necessary to reject something incompatible with your faith. If you want to learn about your Jewish roots, first learn your traditional Christian beliefs, and know why you believe. People who grow the most from this kind of study are ones who have a solid faith, but are not “brittle” – unable to deal with any kind of new information that might threaten them. It takes a mixture of humility and self-questioning, and confidence about convictions to survive in this field. And a lot of prayerful discernment. I know that the reason people come to this site is to look for applicable Hebraic insights on Christian living. There are plenty of sites that talk about the Jewish roots of Christianity, and plenty more that have academic articles about the Bible in its context. What is rare are sites that preach sermons on Christian themes from a Hebraic perspective, and give devotional insights for today. Here, I just thought I’d mention a few sources of good audio talks from a Hebraic point of view. If you are a couch potato who is growing in girth by reading all the time (like me), buy yourself an iPod, download some, and go get some exercise. One good source is the website of Narkis Church in Jerusalem, Israel. Every time I’m in Israel, I attend here on Shabbat morning. The church has a fascinating history, and one of its former pastors, Bob Lindsey, was a key scholar in studying Jesus’ Jewishness. A lot of American graduate students in biblical studies in Israel go there. If you’re in town, don’t miss the excellent 9:30 AM Shabbat Bible study where the students and scholars all meet before the service. They have plenty of visitors. Their current pastor, Charles (Chuck) Kopp, shares the teaching with all of the talented scholars and grad students, and rarely preaches himself. Many of the sermons are really excellent examples of how to apply Hebraic studies to Christian life today. A lot of the speakers are academics who save their devotional thoughts to share here. Some who I really like are Randall Buth, David Pileggi, Gary Alley, Sharon Alley and Halvor Ronning. I haven’t heard all of them, and I know there is some variability, of course. They invite some speakers who are not at all in this field. An excellent guest talk was by John Townsend, co-author of the bestseller, Boundaries. The link for the Narkis audio page is here. Another good audio source is the Jerusalem Perspective website, where there are more sermons from Hebraic scholars, mostly given at Narkis Church. Their audio page is here. For some you need a Premium Content subscription. If you hate spending money for online content, ignore your feelings and sign up anyway. JP has an enormous amount of good material and it’s a small, but very worthy organization to support. One other good audio source is Mars Hill Bible Church in Grand Rapids – Rob Bell, of course. You likely might already know of him, because his talks are some of the most popular podcasts online. He loves Hebraic study and is a hilarious speaker. I don’t agree with him on everything, but often I just love his original insights. The link to the Mars Hill audio page is here. Just to update you, I’m still in the thick of writing. I’m learning a lot and wish I could share it here, but I need to focus on that, so again I’m giving you some favorite resources. And with these, you can also get some exercise while you’re learning too. I’m glad for all who keep checking my blog and I apologize for the lack of posts. If you’re wondering what’s going on with me, I’m buried deep in writing on the book project that is due May 1. And also, my father died a couple weeks ago. He was 87 and had health problems, and he was a strong Christian who wanted to go home to be with Christ, so I’m at peace with that. But you can imagine that family matters took up a lot of precious time. And since I’m one who tends to push off writing until the deadline, now I’m really pressed. I’m actually doing A LOT of writing right now, so I just don’t have energy to do much more for the blog. So your prayers for writing would be great. 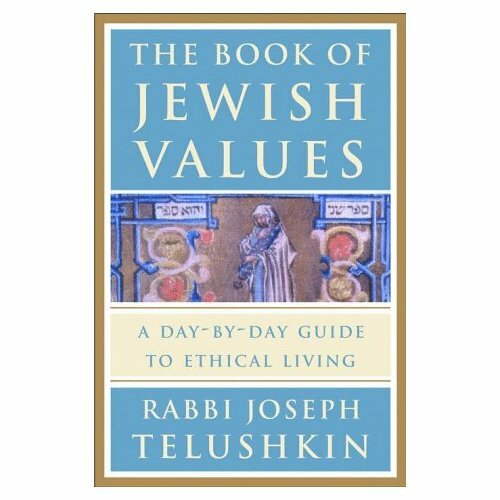 The book that I can’t recommend highly enough is The Book of Jewish Values: A Day-by-Day Guide to Ethical Living by Rabbi Joseph Telushkin. It has incredibly insightful, profound daily articles about how to live the way God wants you to, according to Jewish thinking. A person is supposed to read it each day and once a week, over Shabbat dinner most likely, discuss it with family and friends. I actually did this -met with some friends over coffee and discussed it each week, and we were utterly transformed by our conversations about its approach to life. Really. It’s little stories would get us all choked up (“verklemp”) and every week we’d say “Wow, that was brilliant.” We found over time that our entire attitude to life changed. Here are some of my favorite chapters – you’ll have to get the book to read what they’re about! I should say that it really does look at life from a Jewish perspective, and sometimes it talks about why it disagrees with the Christian way of looking at things. I don’t always agree, but its way of looking at things is very fresh and insightful, and helps me think about why I believe what I do. Here’s a link to buy it at Amazon. It lists for $29.95 but you can get it there for $19.77 + shipping. Or, buy it used for about $10 there too. You won’t regret it. That will hold you over while I get my other writing done. 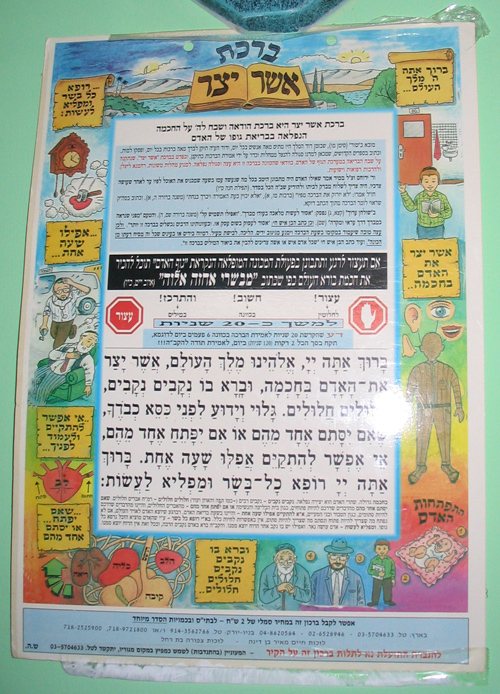 (PS: I took this picture of a plaque with the Asher Yatzar blessing at Jewish retreat center in Israel.) 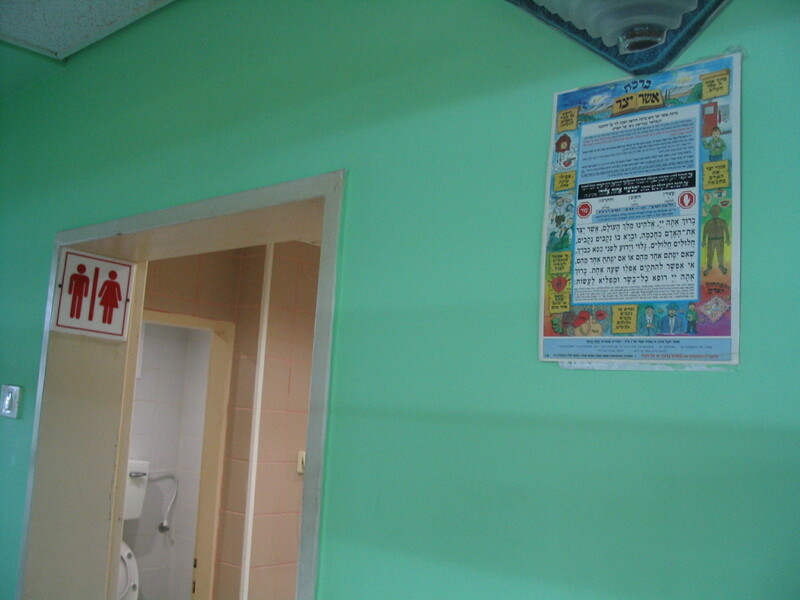 For a close-up of the poster, click on the image in the article. Right now it is the Advent season, and we’re supposed to reflect on what it was like to anticipate Christ’s first coming. In my reading, recently I bumped into something that really got me thinking. One thing I had always wondered about was a theme that you find in the prayers that surround Jesus’ birth. In Zechariah’s song, he rejoices that God has raised up someone who will bring “salvation from our enemies and from the hand of all who hate us.” (Lk 1:71) Who is Zechariah talking about who hates them? And why was Simeon “waiting for the consolation of Israel”? (Lk 2:25) They seem to have some great anxiety, and seem to be imploring God to save them from a great enemy. What was going on around them? Let’s find out a little more of the history of the time. Remember Herod’s massacre of the infants around Bethlehem? (Mt 2:16) I used to read that as an isolated tragedy, but it actually was typical of the great brutality of Herod and the Romans. I was especially struck by an incident that happened near Sepphoris, a city just a stone’s throw from Nazareth. If you’ve visited Israel, most likely you’ve walked through its amazing ruins. Scholars say that it’s quite likely Jesus and Joseph walked there each morning and worked in the city because it was so close. In 4 BC, almost exactly the time of Jesus’ birth, an uprising occurred in Sepphoris. The Roman responded by scouring the countryside, rounding up two thousand rebels who were crucified. They swept through many of the towns, killing and destroying everything in sight. Sepphoris was burned to the ground, all its surviving inhabitants sold into slavery. Just imagine, Jesus’ own hands may have chiseled some of the stones that rebuilt Sepphoris. He must have had family friends that told shocking stories of the cruel deaths of their relatives. In his adult ministry, he may have even healed some of their lingering wounds. For some reason, as I heard about the events of the first advent again I was newly sensitized to the great anguish of Jesus’ people. For a while I’d gotten used to hearing about all the Roman cruelty, and it seemed almost fictional. But then I read one historian liken the Roman government to the Nazis, calling it a “totalitarian regime.” He said that there really was no time in Jewish history that they suffered so much as the first century, outside of the Holocaust. And Jews have suffered a lot over history. It was really a crisis of faith for them, because in the Old Testament, Israel was punished when it wandered from God. But in Jesus’ time, the most pious were the ones that suffered the most. About a hundred years before Jesus, Greeks tortured and killed Jews for reading the Torah and circumcising their children. And horrors like that kept occurring in his time. In Luke 13, some Galileans report that worshippers who had come to the Temple had been murdered, their blood mixed with their own sacrifices. I can hardly imagine their feelings. This helps in understanding the groups of people around Jesus, because society was deeply divided by this crisis. The Zealots felt that God wanted them to fight for their freedom, to serve him rather than foreign gods. The Sadducees were wealthy priests who controlled the Temple, who had given up the idea that God would come to their rescue. They, in fact, had sold out to the Romans and were getting wealthy by stealing the tithed money from the Temple. In reaction to the Temple’s corruption, the Essenes abandoned worship there and had secluded themselves to live lives of great ceremonial purity. They were waiting for the day when God would send the Messianic “Teacher of Righteousness” who would call them as the “Sons of Light” to battle the “Sons of Darkness,” which, in their minds, were pretty much everyone else. Many of the common people, like Jesus’ family and Simeon and Anna, concluded that their best hope for the future lay in prayer and careful obedience to God’s word. A popular movement grew up of laypeople who wanted to pray and study together in their own towns, rather than only worshipping in the Temple. The leaders of this movement were the Pharisees, who were common laborers who distinguished themselves by their devotion to study. You can imagine that at times they might get a little excessive, because they felt like their nation’s life depended on their obedience and piety. But ultimately, Jesus was closest to their way of thinking. And you can imagine how strong people’s feelings were at that time. In times of war, emotions run very high. Wow. All of a sudden I see why people were longing for a redeemer. And as many times as I’ve piously said, “they were wrong to want a political savior,” I now have great empathy for why they did. Jesus lived in a world as evil as anything in our modern reality, and God sent him right into the middle of the depths of their darkness. Back when I was in school, my friends and I were huge fans of Star Trek: The Next Generation. Every Monday morning, all we talked about was the previous evening’s new episode. At first we just focused on the science fiction, discussing how Jean-Luke Picard dealt with whatever strange planetary life form that he had encountered that week. But after a while, we became engrossed in the plots that were interwoven into many episodes and would surface again in later programs. 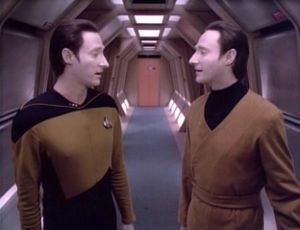 Data, the android, would discover one week that his creator had also fashioned an evil twin “brother” named Lore, and weeks later, their relationship would come up in the characters’ conversation. 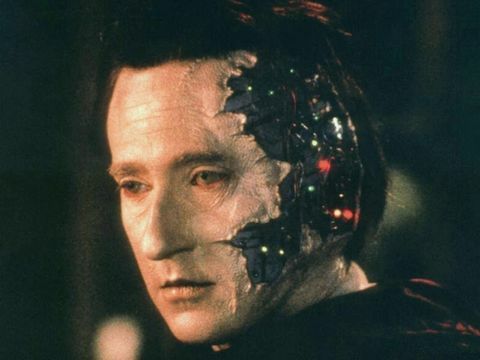 Months later Lore would return, now possessing the “emotion-chip” that Data had dearly desired since he was first built. Over time we saw that key to enjoying the show was paying attention to the crew’s offhand remarks about the past, and then thinking back to how earlier episodes shed light on the current story. Like any well-written series, each program would tell a good story, but a long-time follower would be able to see how the intrigue grew as the plot thickened over time. As I learned to read the Bible in its ancient Eastern setting, I discovered that it’s actually a lot like this. Why? Because memory and history were central to the fabric of ancient Eastern culture. The ancients were very aware of ancestral relationships and oral history handed down to them, and used it to understand later events. Especially important to them was the first place they found something, because it usually set up relationships and patterns that would come up again and again. Being aware of this has greatly enriched my Bible study, because the Scriptures are written with this in mind. As a child, my Bible story book trained me to read the Scripture as a series of short stories, mostly unrelated, each with its own moral lesson. Only after learning about its Eastern setting did I discover that the Old Testament especially is an epic saga with a delightfully interwoven plot. Sometime the Bible includes stories that hardly seem to be moral examples, and I used to wonder why they were there. But they need to be there to explain the deeper meaning of later events. Let’s look at how an ancient person would read the book of Ruth. I used to simply see it as a nice story about a widow who found a good husband because she was kind to her mother-in-law. But if we lived in biblical times, we would be curious about Ruth’s ancestors, and our ears would prick up to the fact that Ruth was a Moabite. Immediately we’d think of the scandalous past of her people, and it would cast her story in a different light. We’d recall that when the weary Israelites were journeying to the Promised Land, the Moabites lured the Israelites into sexual immorality and worshipping idols (Numbers 25:1). From that time on, the Moabites were associated with sexual immorality, even more disgusting because it was how they worshipped their “gods.” Because of that sin, God declared that Moabites were barred from being a part of the assembly of Israel in Deuteronomy 23:3. Was their sin ever forgivable, we’d wonder? Then we’d think back to the origins of the Moabites in Genesis 19:30-38. After Sodom and Gomorrah were destroyed, we read the not-so-nice story of when Lot’s daughters got their father drunk so that they could become pregnant by him, since their husbands had refused to leave the city and died. One of Lot’s daughters gave birth to a son named Moab, and he became the father of the Moabite people. So that’s why the Moabites are so immoral! This would make complete sense to us, because we’d expect that people would be defined by their ancestry. Keeping these ideas in mind, now let’s turn to Ruth. She was a Moabite woman who had returned to Israel with her mother-in-law after her husband died. An ancient listener would immediately wonder, was she as immoral as those who came before her? She said that she would worship the God of Israel, but would God ever accept her? We even find her in the same situation as Lot’s daughters! Like them, she was a widow who desperately needed children. Naomi even told her to approach Boaz when he was sleeping outside by his harvest, after he had eaten (and drunk) his fill. But unlike her ancestors, Boaz proclaimed that she was a virtuous woman (Ruth 3:10). He then married her, and her son became the grandfather of King David. Not only that, but Ruth even appears in Matthew 1:5 as part of the line of Christ! She turned from her people’s unseemly past to embrace the God of Israel. Not only did he accept her and cleanse her from her history, but he gave her a key role in his supreme act of salvation! Those of us who struggle with an embarrassing family history or an immoral past should rejoice to see how God redeemed Ruth and used her for his wonderful purposes. Understanding how texts interrelate has given me a whole new perspective on reading the Bible. When I used to read the stories by themselves, some of them frustrated me because they didn’t show me how to live. But the difficult ones have a far deeper purpose. They illustrate how the terrible sinfulness of man runs throughout history, but then how God graciously intervened to bring Christ into the world. We need to read with the eyes of an ancient person in order to see how that message is woven into the fabric of the Bible from beginning to end. The rabbis were delightfully sensitive to the little details in each biblical story. And their favorite stories were those of the patriarchs, who they considered superheroes of faith. Certainly, they thought, we can learn from them how to live. Listen to what they found in the story of Abraham and his heavenly visitors in Genesis 18. When three strangers came to Abraham’s door he said, “Let a little water be brought, and then you may all wash your feet and rest under this tree. Let me get you something to eat, so you can be refreshed and then go on your way—now that you have come to your servant” (vs. 4-5). But then he told Sarah to kneed three seahs (about 25 quarts!) of fine their finest flour into bread. He next ran out to his herd and chose one of his best calves, choice and tender, and found a servant to prepare it. And then he brought some curds and fresh milk too. It would have taken most of a day to prepare this luscious feast. The bread would need to rise and the calf would need to roast for hours. I think there would have been enough food for fifty people or more. Abraham had no idea who these strangers were who came to his door, and all he promised them was a little water and just a bite to eat to tide them over for their trip. Instead, he rolled out the red carpet and prepared a luxurious feast for them. Wow. Jesus said a similar thing when he told the parable about the two sons in Matthew 21, above. One son had the shocking chutzpah to say “no” to his father, something a son didn’t do back in those days! But then he went and did what he was told. The other respectfully said, “Yes, sir!” And then he didn’t actually do what he was supposed to. Then I remembered one friend who made some exciting plans with me. I was very enthusiastic about what we’d do together, but then he cancelled out later. And then he did it more than once! I admit that I was irritated at him for years. It wasn’t until that I saw myself in him that I got over my anger. In his mind he genuinely wanted to do the thing he promised when he made the promise, just like I did. We were both a bundle of good intentions! But good intentions aren’t the same as follow-through. As much as I see it in myself, it seems to be a common trait among us nowadays. I wonder if it isn’t part of our culture. I read a booklet for newly-arrived international students that said, “When Americans tell you, ‘We will have you over to our house for supper some time’, don’t be too disappointed if they don’t invite you the next week. They may not ever invite you, but this is just their way of voicing their general intentions of welcome.” I imagine that this advice came out of the experience of many an international student who felt crushed and angry when their phone didn’t ring. I may have even issued some of those “mock invitations” myself. As it says in Proverbs 25:14, Like clouds and wind without rain is a man who boasts of gifts he does not give. In the future, I am making an effort to live by Shammai’s words: Say little, and do much. This past week has been a week of great celebration among the Jewish people. On the biblical calendar the past seven days were the Feast of Tabernacles, or Sukkot. In Lev 23: God tells his people in the fall to bring the fruits of the harvest to the temple and commands them to rejoice and give thanks. He also tells them to build a sukkah, a tabernacle or booth, and live in it for seven days. This is so that in the midst of their harvest that they remember that it isn’t their own strength that sustains them, but by God’s loving hand. This past week I celebrated this with the Hebrew class at Western Seminary here in Holland. They built a sukkah last Friday in class! 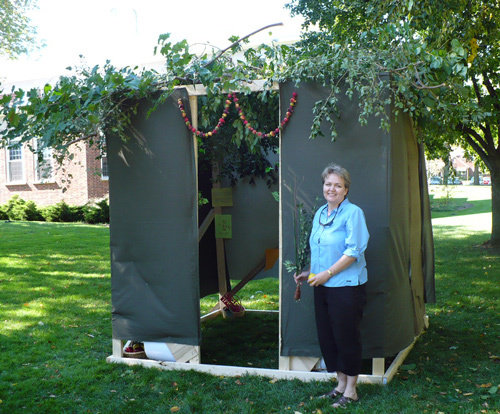 This is the first sukkah ever built at this seminary of the Reformed Church of America, so it was a historic occasion. As is traditional, it is made out of temporary materials and the roof is made only of branches, and one side is left open, to emphasize the fragileness of the human condition. You are supposed to be able to see at least one star through the roof. It blew over on the seventh day, which seems completely appropriate! And then we read the promise in Joel 2 that if the people would repent, God would send rain and save their lives and give them food. And then, God promised that he would pour out his Spirit on his people too! Then we took the branches from our blown down sukkah and we beat them as we shouted a liturgy from a modern Jewish prayer book, with “Hoshana” at the end of each line. You can see an example of the kind of prayers they pray here. They go on for 30 pages! On the last and greatest day of the Feast, Jesus stood and said in a loud voice, “If anyone is thirsty, let him come to me and drink. Whoever believes in me, as the Scripture has said, streams of living water will flow from within him.” By this he meant the Spirit, whom those who believed in him were later to receive. Wow! You can see how Jesus is pulling in the prophecy to point toward the coming of the Spirit on Pentecost. He brings all these ancient prayers together and then shows how he is the fulfillment of them. Finally, our class celebrated by dancing to the song U’shavtem Mayim. The Hebrew of the song means “We draw water with joy from the wells of salvation!” (Isaiah 12:2) We formed two circles and kicked up our heels to dance with joy at how God poured out his Living Water on the earth through Jesus. I didn’t get a picture of us, but if you want to see this dance performed go to this link. What an amazing celebration! The Talmud says, “He who has not see the joy of the Hoshana Rabbah has not seen joy at all in his life.” How very true!